I don’t do too much when it comes to decorations for Thanksgiving. I’m usually busy enough getting the food and cleaning the house to think much about decorations. We always have our fall garland up, that the kids made. But this year I thought it might be nice to have place cards for our table. 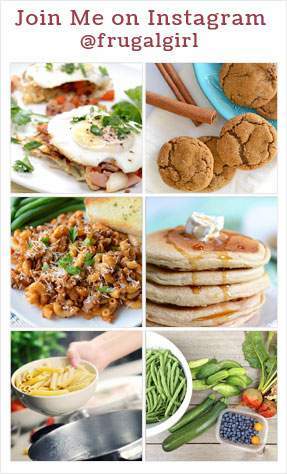 I looked around Pinterest and there are quite a few great ideas shared there as always. By the way, if you’re not following me on Pinterest you can click here to be taken to my boards to follow me. But I didn’t find anything I really liked. I just wanted a simple printable place card that didn’t use too much ink but looks nice too. 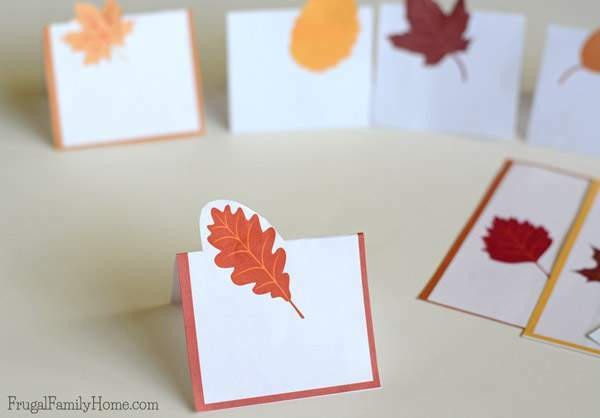 As I was looking outside at all the leaves that had fallen in just a few hours after I picked them up, I thought about making place cards with a leaf. But I wanted something to stand up on the plate. 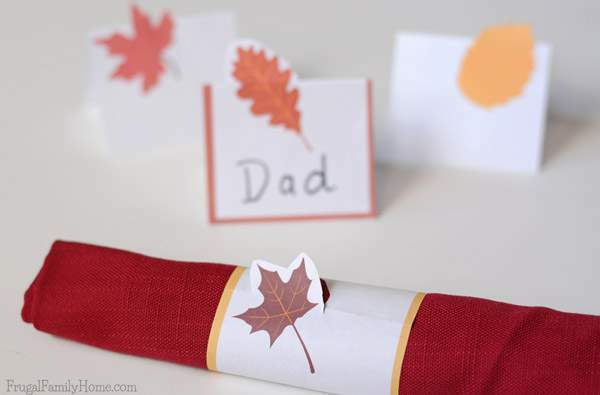 But I really liked the idea of using leaves on the place cards. I found a few clip art leaves I liked and made two sets of leaf place cards. I didn’t want the leaves to just be printed on the cards, so I positioned them so they can rise up out of the place card. Making them just a little fancier. 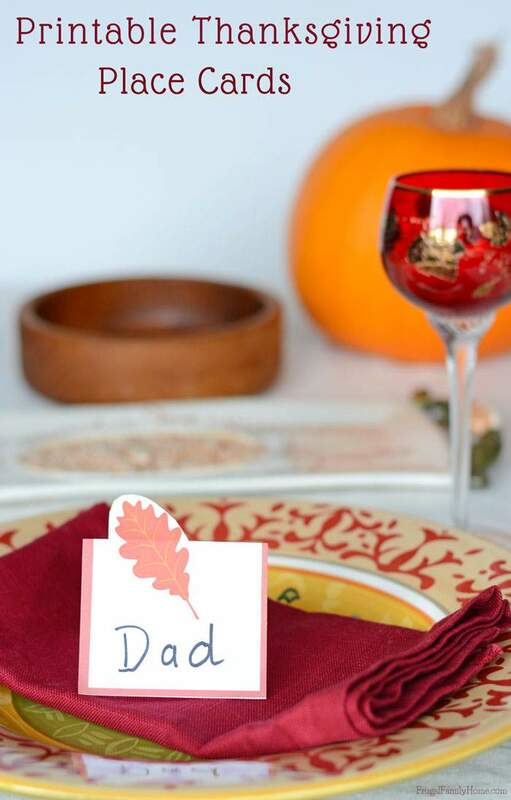 You can download the printable Thanksgiving place cards with the instructions and the two sets of place cards, one with a border and one without. Just click here to be taken to the download. Pick the type of place cards you want. 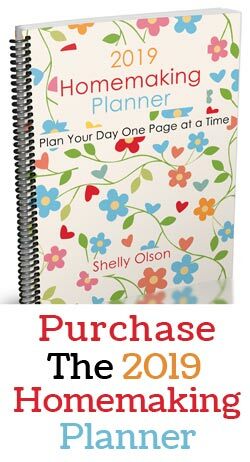 Each set has 4 per page, just print as many pages as you need. If you will be using the ones without a border, be sure to cut inside the black guideline. If you printed the place cards with a border, cut right next to the colored border. Once the place cards are cut out. Fold in half at the edges, don’t crease all the way across. You just need a guide to know how much of the leaf is above the center. Cut out around the leaf that is above the fold. Don’t cut the leaf that is below the fold. When cutting you can leave a margin around the leaf or follow the form of the leaf. 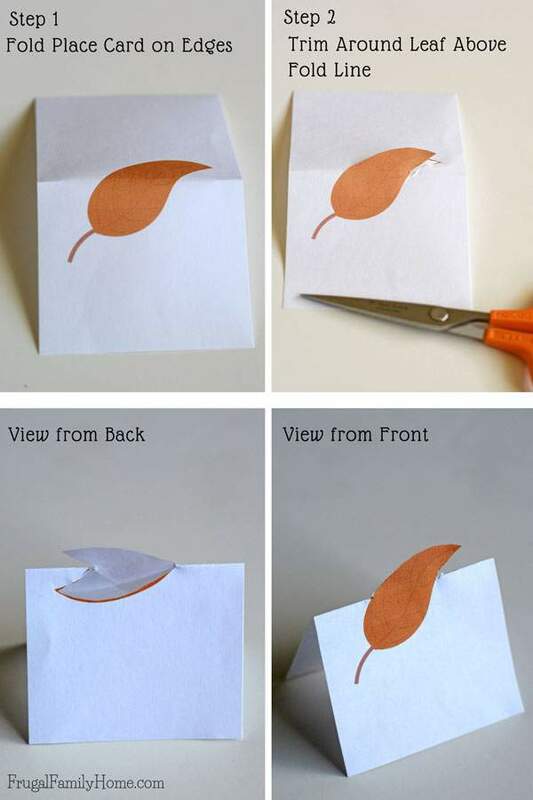 It’s harder to cut the form and if you have kids helping you might want to cut a margin around the leaf. Other than using the place cards for place settings you can use them on a buffet table to identify dishes or use them for napkin rings. For the buffet table, just write the name of the dish on the card and place it next to the dish. This way everyone will know what the dish is without having to ask. If you are doing a potluck dinner, you could have each person fill out place card as they add their dish to the buffet. For napkin rings, print and then cut out around the top of the leaf. Then instead of folding them in half, wrap them around a napkin and secure with tape. You could coordinate the napkin rings with the place cards too. 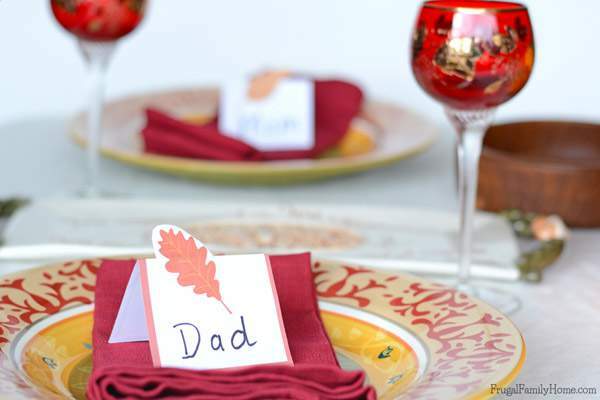 Just print two sets out and then make one into a place card and use the other one to wrap around the napkin. Anyway, you use the printable Thanksgiving place cards, I hope these bring a little fall cheer to your Thanksgiving table or any fall get together you might be having. If you know someone else who would enjoy the printable Thanksgiving place cards, just scroll down a little to use the social media sharing buttons and share this post with your family and friends. I appreciate you sharing! What a clever idea! I’m sure my kids would love to make some of these for our Thanksgiving table. Thanks so much for the free printable! I love how easy this is AND it adds that special touch! Featuring at Family Fun Friday in my round up of 15 FREE and Easy Thanksgiving Activities for Kids: https://www.happyandblessedhome.com/15-easy-thanksgiving-kids-activities/ Happy Holidays!